The Honda Odyssey is one of the most spacious and technology packed vehicles on the market. When you are in need of space for passengers and a lot of cargo, then the Odyssey has you covered. Its 3rd-row Magic Seat ® and fold-down center 2nd-row seat allow for up to eight passengers to ride in comfort and style. The Odyssey has the versatility to fit all you might need while not sacrificing comfort during your ride. There are many opportunities for customization as well. The Honda Odyssey comes in six different packages to suit what features that you want and seven different exterior colors to show off your personality. These are just a few of the reasons the Honda Odyssey has become a favorite among San Antonio families. What’s new on the 2018 Honda Odyssey? Everything! That’s right. Honda has completely redesigned their award-winning minivan for the 2018 model year. It’s got a fresh new style, a more powerful engine and a ton of new premium features. The all-new 2018 Odyssey offers innovative technology options like Honda CabinWatch™ which utilizes a camera to broadcast all rear seat activity into the large 8-inch color touchscreen located in the center console of the vehicle. The highly-popular Apple CarPlay and Android Auto functions are standard on every trim level of the 2018 Odyssey. Plus, there’s also a wireless phone charging station inside the vehicle. Honda covered every base with the redesign of the 2018 Odyssey, and turned what was already a great minivan into the undisputed king of family transportation options. The Honda Odyssey has gone through several transformations in its time on the market. It has undergone five generations of changes to enhance features, make technological advancements, update exterior styling, and upgrade the engine. This has been true for each version of the Odyssey. In fact, it has had different versions of the same model of car between the North American and international markets since its release in 1994. The Japanese and North American markets have been the two biggest supporters and consumers of the Honda Odyssey. The Honda Odyssey has stayed close to its core design through the years and has never stopped innovating and pushing forward the minivan class. Why Should You Get Your Honda Odyssey at Fernandez Honda? Want to find out more about the Honda Odyssey? Come on down to Fernandez Honda today, and we can tell you all about it! We have an extensive selection of new and used vehicles. Customer service is our #1 priority, and our lot is home to some of the best deals on the Honda Odyssey in the San Antonio, New Braunfels, Austin, Houston or San Marcos areas. 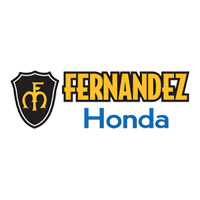 Come see the Fernandez Honda difference at our convenient location today or give us a call at (210) 880-9318.